Atrial fibrillation is not the most common of the cardiac arrhythmias, but it is the most common arrhythmia that that can produce dire consequences. But not all atrial fibrillation is the same. Sometimes the risk posed by atrial fibrillation is substantial; in other cases the risk is not as high. So, in an effort to categorize the degree of risk posed by atrial fibrillation in individual patients, doctors over the years have devised several different classification systems to describe the various “types” of atrial fibrillation. These different classification schemes, all devised with noble intent, have resulted in a lot of confusing terminology that, for many doctors, failed to clarify the issue, and in fact had the opposite effect. In an effort to put doctors all on the same page in regard to atrial fibrillation, in 2014 a general classification system was established by the American Heart Association, the American College of Cardiology, and the Heart Rhythm Society. This classification system is aimed at helping doctors decide how to evaluate patients with atrial fibrillation, and how best to treat them. It is the classification system that now should supplant all the older ones. The new classification recognizes that atrial fibrillation is most often a progressive condition. At first, the arrhythmia usually occurs in episodes that are intermittent and brief. As time goes by, the episodes tend to become more frequent and longer-lasting. Eventually in many patients, atrial fibrillation entirely supplants the normal heart rhythm and becomes permanent. The “type” of atrial fibrillation that is seen when a person is first diagnosed with this arrhythmia can help the doctor make recommendations about the most appropriate approach to therapy. 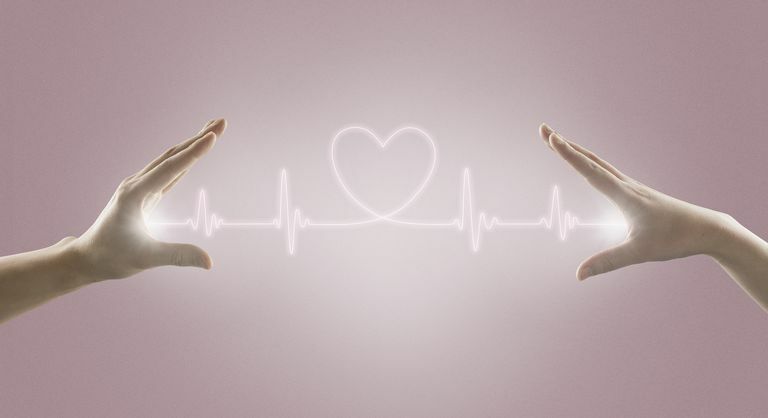 The more a patient’s arrhythmia has progressed toward permanent atrial fibrillation, for instance, the less likely it is that a normal heart rhythm can be restored and maintained. Here is the current standardized system of classifying atrial fibrillation. Paroxysmal Atrial Fibrillation: Atrial fibrillation is said to be paroxysmal (a medical term for “intermittent”) if it occurs in discrete episodes less than seven days in duration. In many cases, paroxysmal atrial fibrillation may last for only minutes to hours. Episodes of paroxysmal atrial fibrillation can be very frequent, or quite rare. Some patients with paroxysmal atrial fibrillation will have brief episodes that produce no symptoms and are entirely “subclinical.” This means that neither the patient nor their doctor is aware that episodes of atrial fibrillation are occurring. In these cases, the arrhythmia is usually discovered unexpectedly during cardiac monitoring. Subclinical atrial fibrillation is important because it, like more severe cases of atrial fibrillation, can lead to stroke. It is these subclinical episodes of atrial fibrillation that consumer products like the Apple Watch and the AliveCor device are meant to detect. Early detection of paroxysmal atrial fibrillation can allow for preventive treatment to reduce the risk of stroke. Also, people with paroxysmal atrial fibrillation are more likely to respond favorably to treatment designed to eliminate atrial fibrillation altogether. Persistent Atrial Fibrillation: In this second category, the atrial fibrillation occurs in episodes that fail to terminate within seven days. That is, in distinction to paroxysmal atrial fibrillation, persistent atrial fibrillation tends to last a long time. In fact, in order to restore a normal heart rhythm, medical intervention is most often necessary. Patients who have one or more episodes of persistent atrial fibrillation may at other times still have episodes of paroxysmal atrial fibrillation, but they are now classified as having a “persistent” arrhythmia. When treating a person with persistent atrial fibrillation, cardiac electrophysiologists tend to aim their treatment at getting rid of the atrial fibrillation and restoring a normal cardiac rhythm. Long-standing Persistent Atrial Fibrillation: In these patients, an episode of atrial fibrillation is known to have lasted longer than 12 months. For all practical purposes, atrial fibrillation has become the new, “baseline” cardiac arrhythmia in these patients. While efforts to restore a normal heart rhythm may still be attempted, those efforts are less likely to be effective. Permanent Atrial Fibrillation: The only difference between “long-standing persistent” and “permanent” atrial fibrillation is that, with permanent atrial fibrillation, the doctor and patient have agreed to abandon further efforts to restore a normal heart rhythm and have moved on to a different treatment strategy. They have declared the atrial fibrillation to be permanent, and have adopted a rate-control strategy of therapy. A different classification for atrial fibrillation that you will commonly hear about is valvular atrial fibrillation versus non-valvular atrial fibrillation; that is, whether or not the atrial fibrillation is associated with valvular heart disease, such as mitral regurgitation. For practical purposes, this classification is taken into account only when deciding on anticoagulation therapy to prevent stroke. Essentially, patients with valvular atrial fibrillation virtually always need anticoagulation; patients with non-valvular atrial fibrillation may not. The chief benefit of this classification system for atrial fibrillation is that it standardizes the nomenclature, so that when doctors talk to each other about atrial fibrillation, they all mean the same thing. It helps you, too, to understand your condition. In addition, it gives doctors some idea about how far a patient’s atrial fibrillation has progressed toward becoming a permanent heart rhythm, and thus, how likely it is that a strategy aimed at restoring a normal rhythm might be effective. Ultimately, it’ll help you and your doctor make a treatment decision that’s best for you.